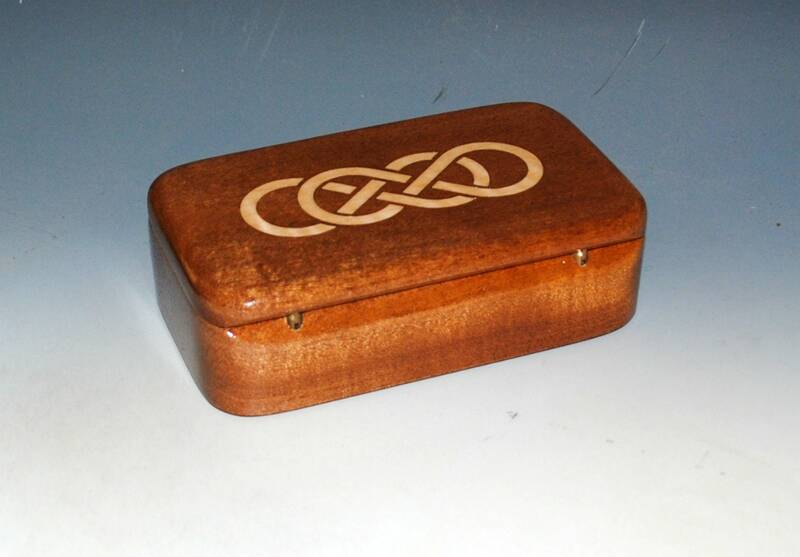 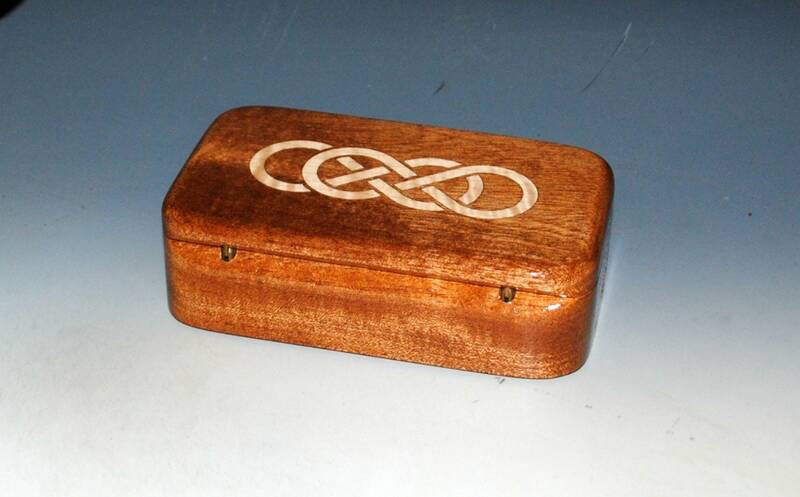 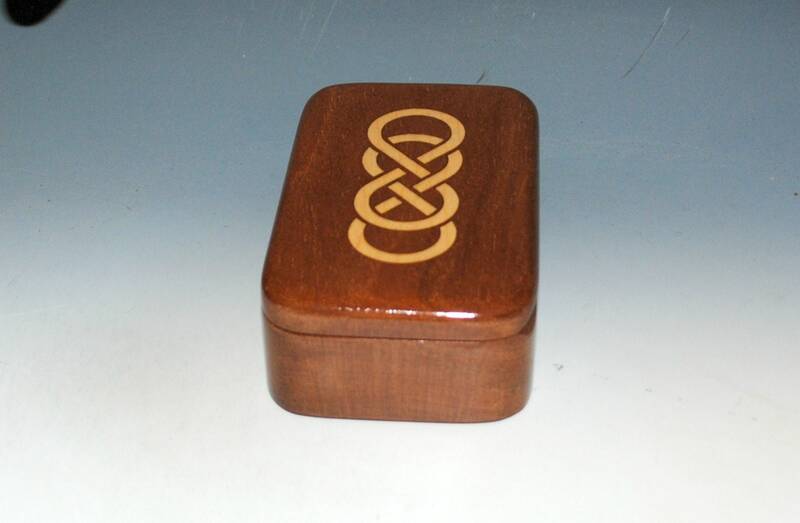 Handmade wood treasure box with an inlaid double infinity symbol by BurlWoodBox. 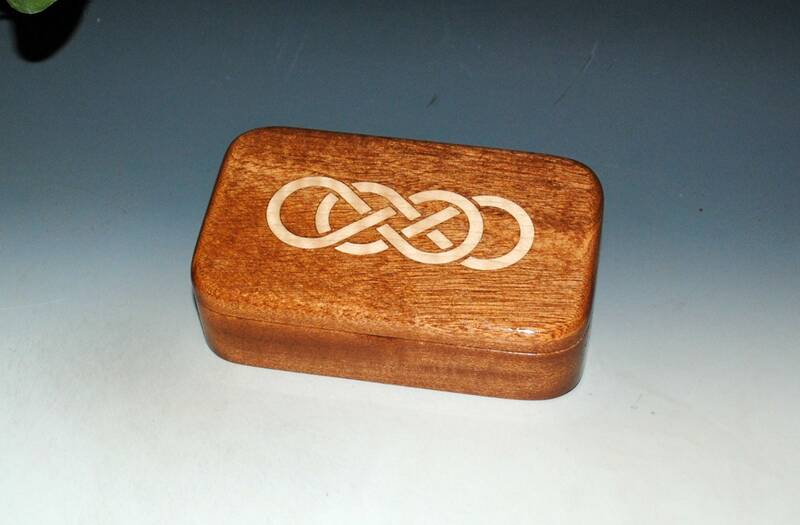 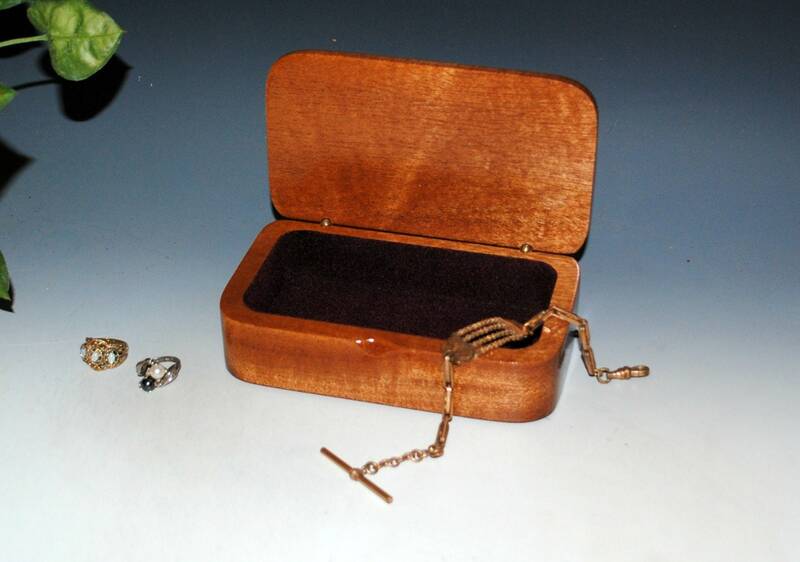 Great as a small wood jewelry box or as a gift or keepsake box. 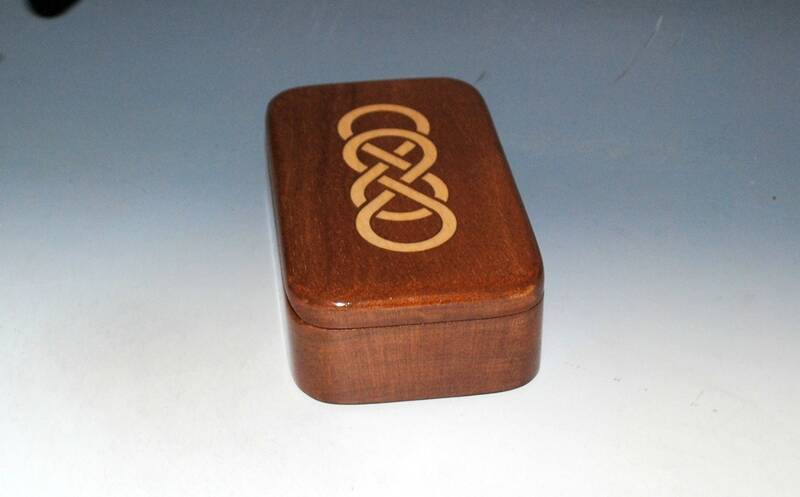 Natural sapele mahogany treasure box with a figured Maple inlaid double infinity symbol. 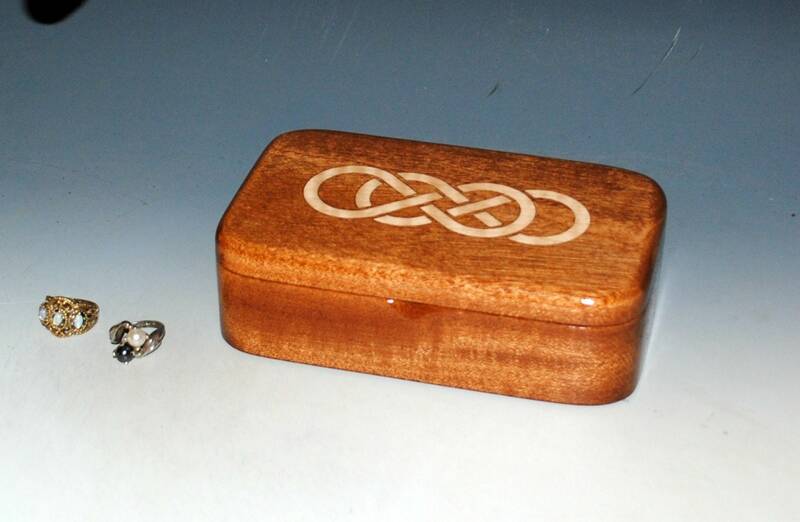 Awesome natural wood color combination. 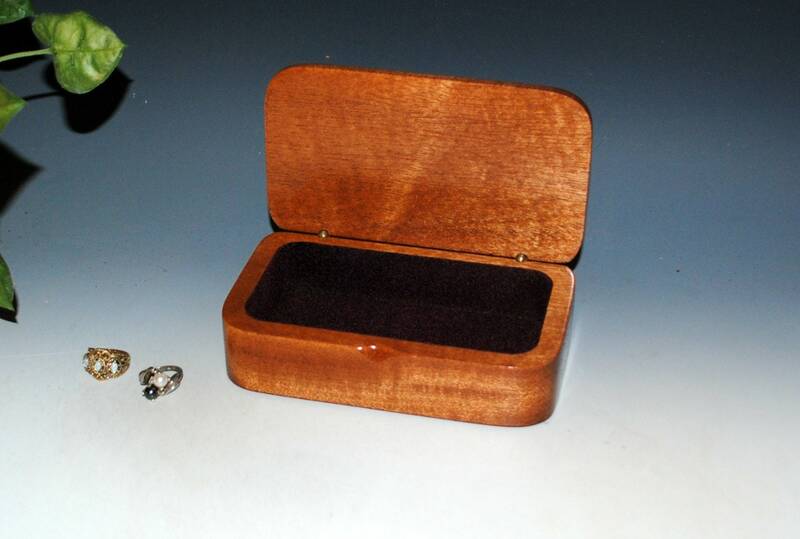 Box is lined with wine rayon flocking to compliment the natural mahogany. 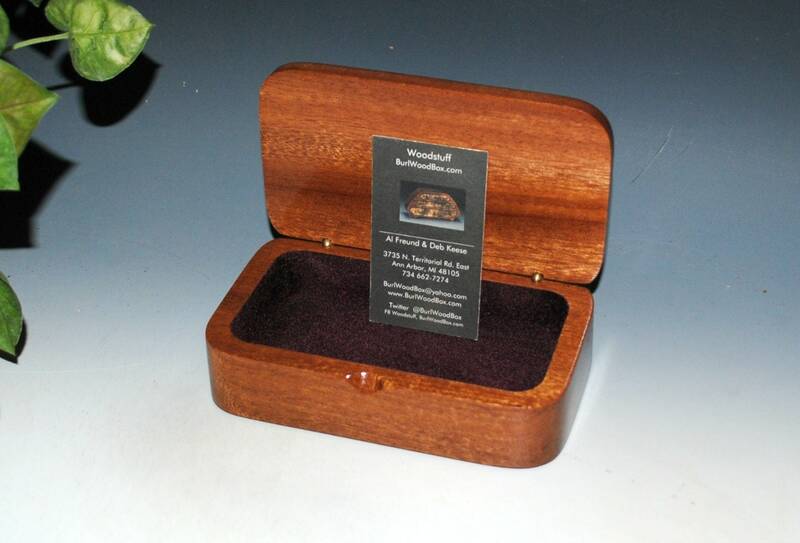 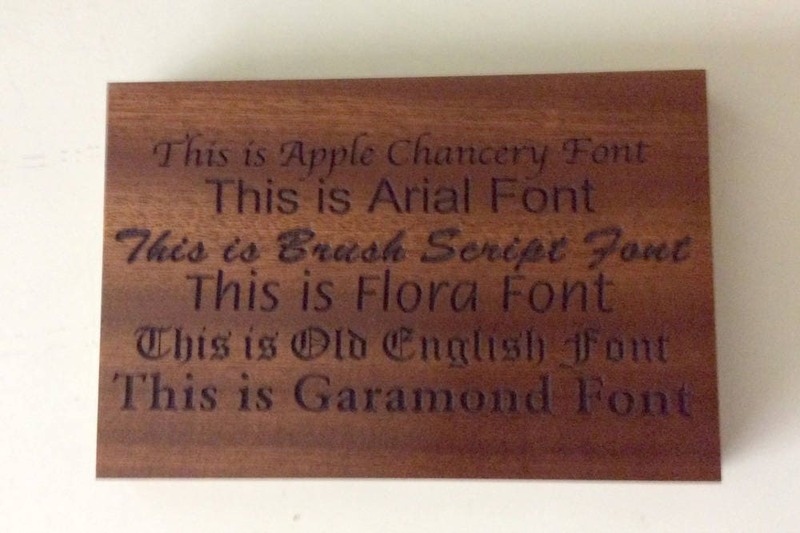 You can see more styles of our wooden boxes from our home page, link follows.